I shouldn't even be thinking about this yet but I'm curious if anyone has pic of a 12.5" wide tire on a 10" wide rim? I guess any size would work but I prefer 33" or 35" since I'll run one of the two myself. Currently I have 12.5" on 8" so just curious what the change would look like. Thanks! someone help this guy out! I've been wondering the same thing to. glad you got this post up bro. Here's a comparison shot of 15x8 w/ 4" backspace and 15x10 w/ 4" backspace. Both on 12.50 tires. With the same backspace, the 10" will stick out 2" more. I know you girlie...you won't like the 10's because you like your paint. hehe. If my truck had less tire to fender clearence, you'd be able to tell better. **note: the 10" wheels I posted above are 35x12.50(BALD! )...but the overall look and how far it sticks out is the same. Last edited by Fx4wannabe01; 11-26-2009 at 11:39 PM. my apologies to DisturbedESV...what not aware that she was a she! good to go, sweet truck by the way. do you have 33's on yours? 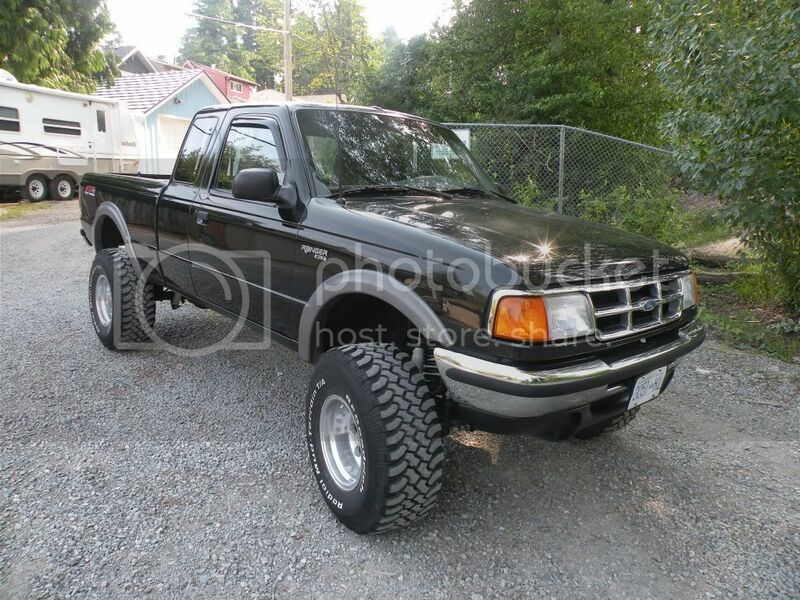 Im going to try and get 33x11.5's on a 16x9 rim with a 3 inch body lift and t-bar crank.